Memorable first session for Jordan! New Lymm AC member, Jordan Hampshire, visited Lymmvale for the first time recently. Not only was it his first visit to the’Vale, it was first ever fishing outing on a Lymm water. 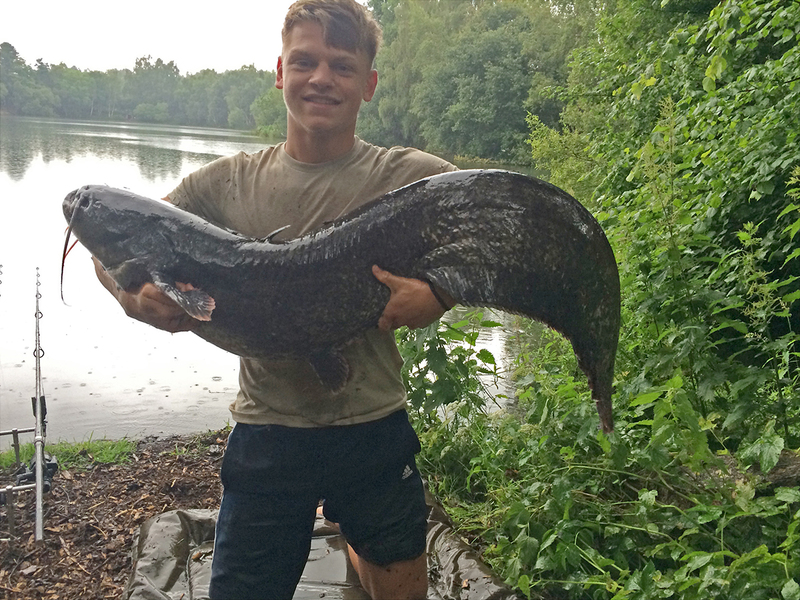 Fishing with double spice shrimp boilies, Jordan managed to hook and land a rather special fish in the shape of a 46lb 8oz catfish! Welcome to Lymm AC, Jordan and congratulations on catching such a magnificent specimen! 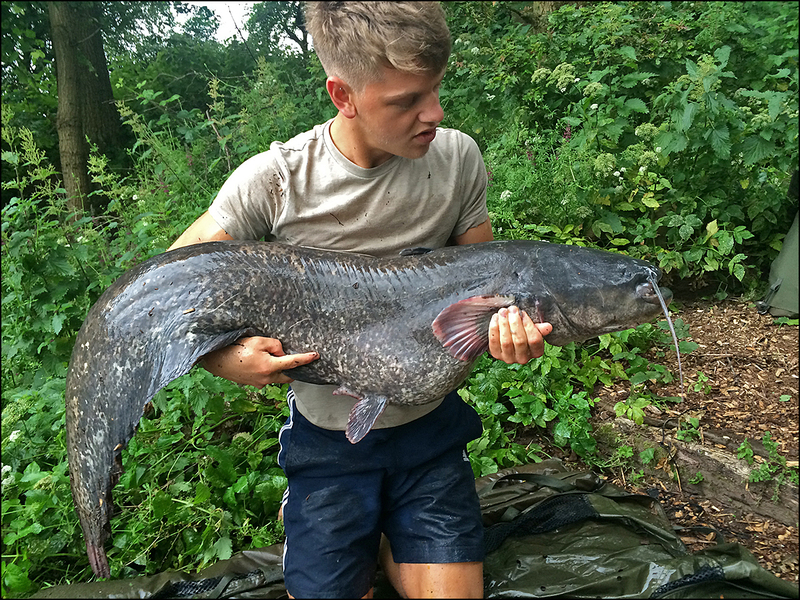 Jordan with his 46lb 8oz cat! A smile that needs no explanation! 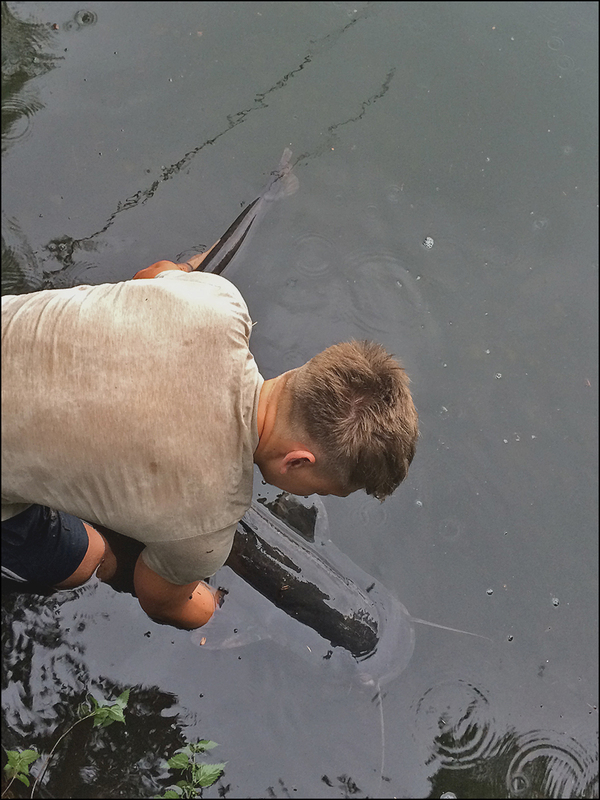 If you would like the opportunity to catch fish such as Jordan’s impressive catfish, then simply visit our website at www.lymmanglersclub.com where you can find out about all of our waters and of course, details on how to join us – we look forward to hearing from you! This entry was posted in Catch Reports by carpandstuff. Bookmark the permalink.